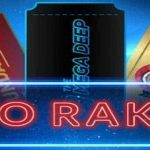 888Poker has launched a new multi-player casino game based on Texas Hold´em poker but lacking any semblance of skill. To date player reaction has been mixed. If you have visited 888Poker in the last few days, you may have noticed a new tab has appeared in the poker client alongside the SNAP and BLAST tabs – “Pick´em 8”. Speculation about what this game consists of has been floating around for a while; but now the game has gone live, we can tell you what it´s about and how you play it, and the strategies being tried by players to make the game profitable. The concept of Pick´em 8 is simple. New games start every few minutes with buy-ins of $0.25 and $1.00, and there is a countdown timer which tells you how long there is to go until the next game starts. 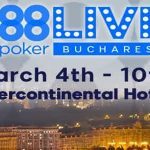 You select the stake you want to play for and join the pool of players that have already entered – much like entering a Multi Table Tournament, except each game of Pick´em 8 is over in one hand. When the countdown timer reaches zero, the Pick´em game starts and you are presented with a face-up selection of eight cards from which you have to pick two. These are your hole cards (Note: every player entered into the game sees the same eight cards). If you don´t pick any cards or fail to complete your selection within time, you are automatically allocated the cards on the left hand side of the two rows. Once every player has picked their cards, or been allocated them automatically, five community cards representing the Flop, Turn, and River are revealed. Again, every player in the game sees the same set of community cards. The player with the best five card Texas Hold´em hand wins the pot; or, if more than one player has selected the same two hole cards, the pot is shared between the winning players. 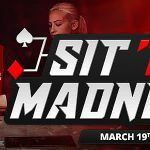 Although there is no skill involved in playing the game, a few strategies have been identified by reading through the comments posted on forums by players who have tried Pick´em 8. The most common strategy is to avoid picking the best two hole cards; for, although you may win more often, the best two hole cards tend to be chosen by multiple players – meaning the prize pool will be shared more widely when your hand wins. Picking the worst two hole cards is one alternative strategy, but commentators on the forums have said this is not necessarily a good idea because there are a few players taking this approach and, not only will you win less frequently, but the prize pool will be divided between players who have also chosen to follow this strategy believing their selection will be unique. The conclusion is that picking one high and one low hole card appears to be the best way to ensure that, when your hand wins, you collect a decent amount. Ideally the high card and low card should be of the same suit and, whenever possible within a range that they could make either end of a straight. While the game is still new however, there is not enough evidence to show that any strategy is correct. Some players love it and claim to being winning money by following the high card/low card strategy. Other players hate it (on principle?) and claim that because it is basically a casino game, it has no place in the poker lobby. Why not visit 888Poker today and see what you think? 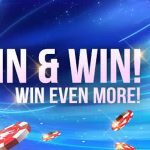 With games starting at just $0.25 – and prize pools frequently exceeding $20.00 – it does not cost a lot to try the game and form your own opinion.